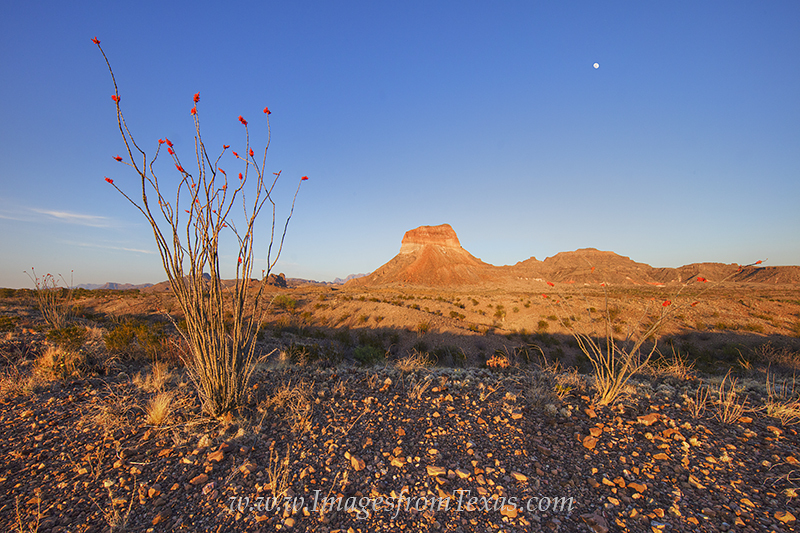 A nearly full moon rises over the Chisos Mountains in Big Bend National Park. In the foreground is the hardy Ocotillo with its red blooms against the blue sky. The mountains in the distance are glowing from the evening sun in the west. Photo © copyright by Rob Greebon.